Unfortunately, copywriting isn’t an easily acquired skill. It does take a lot of time, energy and experience to craft a perfect set of words to trigger response and conversion from your target audiences. Thanks to renowned copywriting guru Ray Edwards, we now have a framework for copywriting revolving around the acronym P.A.S.T.O.R. Let’s dive in to see what PASTOR comprises. According to Ray, you can associate the metaphor of a PASTOR as a person who tends to and cares for his or her sheep. The original meaning of the word “pastor” means “to shepherd”. In a religious setting, we all know that pastors are leaders of churches. 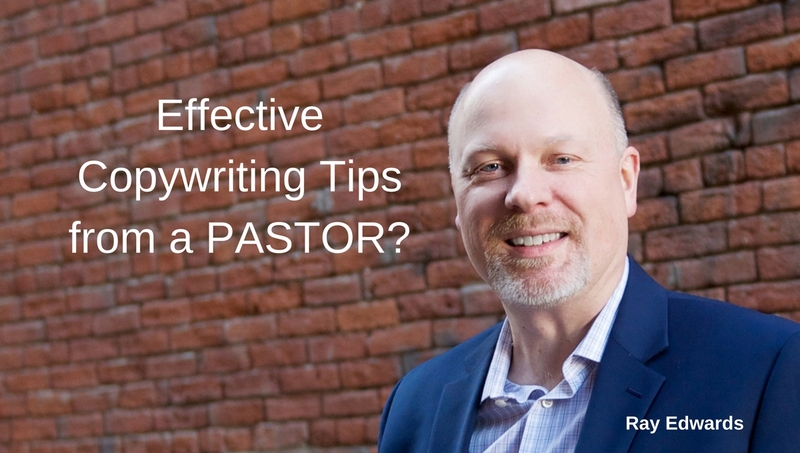 While not all pastors are good copywriters, it does help to think about copywriting as a way of inviting your cold audiences to become a member of your community, and for you to build positive relationships while solving their problems. So what does PASTOR mean? Begin by identifying the person you are trying to reach, understand the problem which you are solving for them, and the pain which the problem causes. In marketing, you can zoom in on the right person by building a solid customer profile of your target audience. From there, you should identify what their specific challenges are, and then describe the different pain points which these challenges cause. Person: Retail shop owner in his 50s, located in a shopping mall. Problem: Sales has been dropping by 20% each year. Pain: Due to reduced income, he has to cut staff at his outlet and do more of the work himself. To draw in your prospects to buy your product or undertake your service, you need to describe both the consequences of inaction (“hell”) and the pleasure of taking action (“heaven”). The best way to do so is to be as explicit as possible and include a dollar cost to the problem. To rectify the problem and the pain, you need to have a solution for your prospect. This is best conveyed through a story of someone who has solved that problem, using the specific (or similar) system which you can provide. Introduce your protagonist (ie customer) and flesh out her persona. Build up the case for your protagonist and illustrate what she goes through. Use the “And” method to gather momentum. Put in the conflicts and challenges which she faces. These “Buts” can be the stresses she faces balancing multiple roles. Where possible, include escalating conflicts (“magnify the pain”) to increase the suspense. Thereafter, highlight the services or products which you provide as the “hero” (“Therefore“) which helped to save the day. Bring your narrative to a satisfying resolution. Business is going downhill. Every day, you have to open your shop, hire and train staff, and manage your inventory, while ensuring that you can make payroll and rental each month. But all your customers are flocking to online retailers like Alibaba and Amazon.com. Therefore, you need our help to get your business online so that you can trim your monthly overheads, reach out to new customers, and boost sales. Has this company been able to do what they are describing for themselves? Has this company been able to get other customers to achieve the results which they describe? Will this company be able to help me achieve these results? In the case of our retailer, we will need to show how other retailers like himself could successful transit from bricks and mortar to clicks and mortar. We may also need to provide real results if available to show how our “e-commerce” solution can transform his business from bumming to humming. This is where you describe precisely what you are offering for sale. According to Ray, the offer should only take up about 20% of your copy. In other words, you should focus 80% of your copy on the transformation itself. A good trick to adopt here is to tie the deliberables in your offer with the transformation and benefits that your customers will enjoy. Each of our e-commerce packages comes with a website development service to get your shopfront noticed online, a shopping cart that facilitates easy purchase by your customers, and a one-day training session to equip you with the necessary skills to market your business online. We will also provide all the necessary templates you need to start selling online as well as FREE 2-year service support to address any queries you may have. One of the cardinal rules of effective selling is this: ASK FOR THE SALE. Now that you’ve read all about the benefits of going online, you can either continue running your business the way you’ve done it, or choose an easier way to sell. Make a decision today that will change your business – and your life. To start your e-commerce journey, simply click the button below and fill in your business particulars. Our consultants will respond within 24 hours and arrange for a preliminary consultation session. It is as easy as that! What I’ve shared with you is just the icing on the cake. You can find a lot more valuable advice in Ray Edward’s bestselling book “How to Write Copy That Sells” which is available in most good bookshops. Beyond his book, I also encourage you to subscribe to his wonderful podcast here. Svært ved at overskue din næste mailkampagne? Hent en skabelon her.